Until recently and on the whole they have been remarkably patient. From their beginning over a century ago, they have been quite far-sighted, keeping their eyes on the prize, always advancing their agenda while at the same time being careful not to unnecessarily alarm or clue in too many American voters. Their overall strategy is right there in the name they chose for their movement. For over 100 years, progressives have been transforming America persistently, progressively. What makes their patience remarkable is that patience is not the hallmark of revolutionaries—and revolutionaries is what they are. The progressives’ revolutionary purpose is to reverse the outcome of the American Revolution, to overthrow the American system that is the gift of the Founders. You can call them the anti-American revolutionaries. Back home, Obama and the Democrats required that schools allow boys who “identify as girls” to use the showers and dressing rooms set aside for girls. To the progressive elite, Obama in the White House meant the Democrats no longer needed to worry about alarming American voters. The Tea Party was an early warning they ignored. And then there was Donald Trump. That the Republicans could nominate and America could elect such a man to the highest office in the land was understood by the Left to be an outrage, a crime against History. Trump’s election dashed the cup from their lips just as they were celebrating their long-awaited victory sip over the American founders. 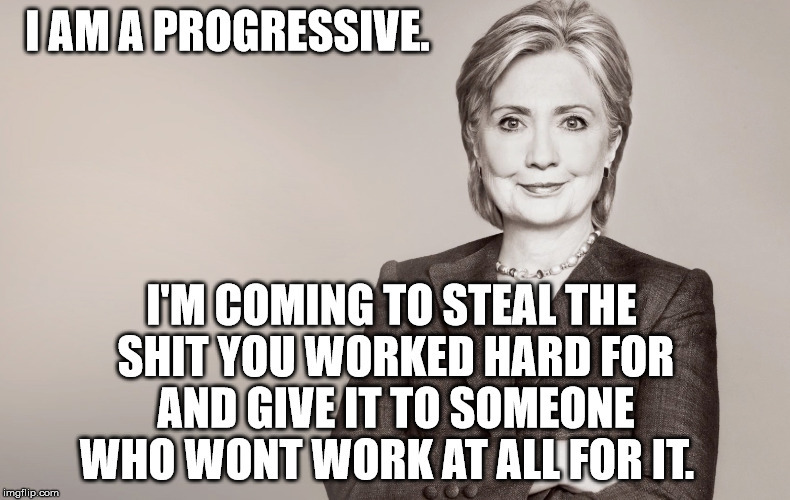 Once upon a time, progressives would have re-calibrated and re-committed themselves to their long-term vision. That is what they used to do every time their dream of imposing socialized medicine on America—a goal cherished from the earliest days of the original Progressive era—failed. They threw caution to the wind. The Democrats pushed through Obamacare on a straight party-line vote, creating widespread voter alarm and galvanizing the Tea Party movement. Obama’s signal foreign policy initiative was to provide a life-saving gift to the mullahs in Iran. He lifted the sanctions on Iran, which in addition to giving the mullahs a new lease on life, also augmented that lease with direct foreign aid variously reported but in the neighborhood of $150 billion. But not this time. The Democrats are done with paying lip service to American ideals they do not believe in just so they can get elected. They have had it with the American people, and they have decided to replace us with people more to their liking, people who will never consider blocking their progressive agenda. How can the Democrats be so certain that the floodtide of illegals they’ve chosen for this task can be counted upon to empower them? Could it be because those people are not exactly dedicated to the American idea, either? These new people may not be able to mouth the progressive talking points against the Electoral College or argue for “the living Constitution” but, for the progressives, their hearts are in the right place and their votes will obediently follow their benefactors. That’s what counts. It seems it was only yesterday when Barack Obama was saying illegal immigration was totally unacceptable. Today, the Democrats are all about open borders, abolishing ICE, and even socialized medicine for illegals. What happened? The Democrats are done with waiting. They want what they have always wanted and, like the spoiled girlVeruca Saltin “Willy Wonka’s Chocolate Factory,” they want it now. and they have good reason to believe, that open borders means an end to pesky voters interfering with the progressive project. In the 20th century, there were three great attempts in the West to replace the social order created during the Enlightenment era. The Enlightenment era ultimately put the people in charge of the government. Each of the three movements born in the 20th century was an attempt to put the government back in charge of the people. The Germans and the Italians tried national socialism; the Russians and the Chinese tried Communism. Both brought ruin and catastrophe and then failed spectacularly. The third attempt, the American one, is progressivism. The progressives have outlasted the other two. They were more clever and more patient than their two rivals. Realizing that the American people were not ripe for the kind of revolutionary upheaval that had worked in Germany or Russia, their plan was to introduce government control of the American people slowly or, if you like, progressively. But the advent of Obama changed everything for them. The Obama phenomenon brought the American progressives’ to the peak of a frenzied enthusiasm. The Left understood that for the Democrats to nominate and for Americans to elect such a man to the presidency meant the long-anticipated final moment had arrived. Obama promised a “fundamental transformation” of America was at hand—and the Left went wild. TAB Editor Comment; and it seems their stepping up their clamor, their protesting, their actions, in some cases; assaults and it might just be a matter time when we will see armed with guns, of course of by those who want to take the guns away! History will repeat itself.